We have been extremely happy with the progress of the tomato plants a few weeks after cloning them from an aquaponics system. 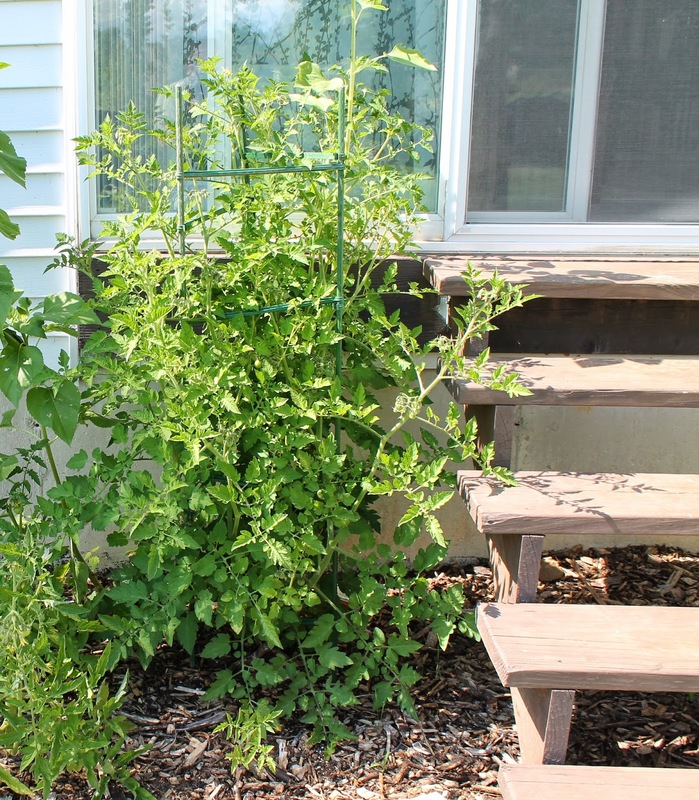 We have learned the benefits of taking clippings from the tomato plants we are growing indoors and using them to get a jump start on the growing season. I have cloned about nine or ten tomato plants of various types and planted them in our outdoor garden beds. The growth compared to the other tomatoes that we planted from seed or seedlings is amazing. We have one plant that is now over 5 feet tall (about 1.5 meters) and contains over 100 tomatoes already. And here are the tomatoes started as seedlings in the square foot garden. There is just no comparison, the clones' growth far exceeds these plants. They are only about 18" - 24" tall. Next year, we plan to scale the operation a bit and get several types of tomatoes started indoors in the aquaponics system. They grow very fast in aquaponics, so we can take several large cuttings per week from each plant and start cloning. This way, we can have a sizable garden ready to plant when the weather breaks in the spring. This is the first year we have grown tomatoes at our new home and we already cannot wait for next season!